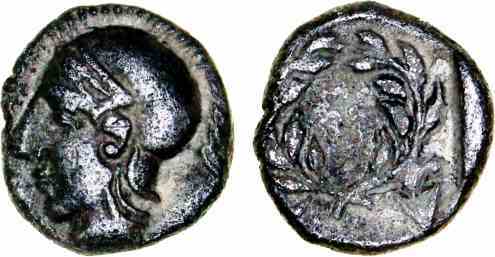 Silver diobol, 10mm, 1.02gm, issued 450-400 BC. Obv: Helmeted head of Athena left. Rev: Laurel wreath within incuse square.